Note: Read the full “Mastering Product Experience: How to Deliver Personalized Product Experiences with Product-led Go-to-Market Strategy” book or download in PDF format. Many Software-as-a-Service (SaaS) companies have failed to evolve their go-to-market (GTM) approach to enable a customer-centric focus. They are still organized around a complex sales process divided among specialized departments: marketing, sales, and customer success. As a result, they can’t ensure an orchestrated approach that boosts the likelihood of converting prospects to customers. As we discussed in our book — “Mastering Product Experience in SaaS” — in the traditional customer acquisition approach, each department manages prospect interactions separately, leading to disconnected customer experiences. Marketing generates awareness and interest and nurtures leads, and is measured by lead volume, velocity, and quality — and sometimes, even by revenue contribution. Sales teams close deals, and are measured on close rates, quota attainment, and revenues generated. Customer success oversees the onboarding process after the transaction with a goal of ensuring customer satisfaction, ultimately measured by high retention and low churn rates. Not only are departments driven by different goals and incentives, they often use different systems to manage and track customer interactions and relationships. Marketing uses marketing automation tools, while sales relies heavily on CRM systems. Customer success teams even call upon yet another tool to manage accounts and predict customer segments that are at risk of churning. It’s no wonder the experience often feels disjointed from the prospect and customer perspective. To deliver a stellar prospect and customer experience, companies have to rethink how their departments collaborate. The first step is to change from an inside-out, sales-driven perspective to an outside-in, buyer perspective. Companies that understand the buying process from the prospect’s perspective are better positioned to develop great customer experiences. A framework that puts the customer at the center of the process provides a view into how prospects move through the buying process. It also provides insights into actions that identify a greater probability of making a purchase. 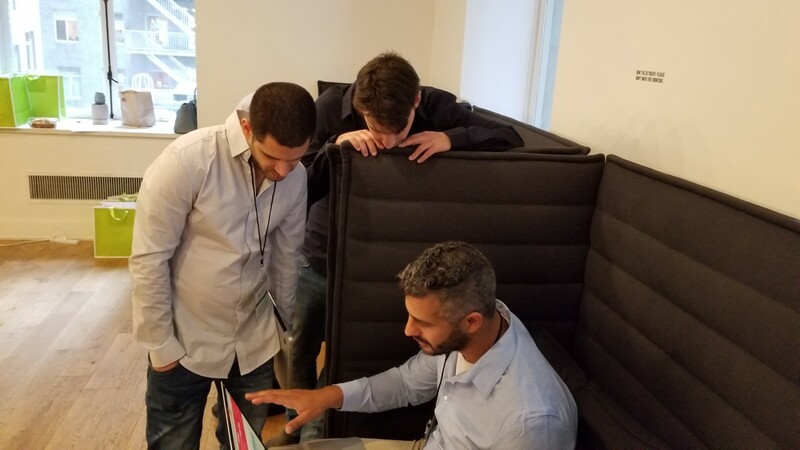 The next step is to incorporate an essential part of the organization into the customer acquisition process: the product department. When the product team is outside of the customer acquisition process, product analytics and customer behavioral data are missing from consideration to guide prospects and customers through lifecycle stages. It’s also nearly impossible for SaaS companies to know if their product is in some way hindering customer acquisition. When the product is responsible for a failing customer acquisition strategy, it can take quite a while for the marketing, sales, and customer success teams to determine that this is the case and and convince the broader organization. Such delays can be the death knell for companies, as they are unable to recover from a tarnished reputation as a provider of a poor-quality product. Because product experiences are an essential part of the customer experience, product leaders need to understand the buying process and identify the features driving value and adoption. The organization must also align goals and metrics around the customer experience across departments, and find a way to aggregate customer data across multiple departments and technologies. By taking these steps, SaaS companies are better positioned to design and deliver personalized customer engagements. To successfully deliver a personalized experience, SaaS organizations need a comprehensive view of each prospect and customer. While this concept is not new, many companies still struggle to make this vision a reality. Historically, CRM systems are the default customer data warehouse. But CRMs weren’t designed to enable multi-channel customer engagement based on a comprehensive customer profile data that includes in-product behavioral data. Even if your company does manage to piece together all relevant data — in-product usage — it’s extremely difficult — if not impossible — to attribute product usage data to an individual prospect or customer. The challenges don’t end there. In-product customer behavior data is difficult to access and align with customer production data and account data that lives in the CRM system. A product analytics solution can help teams understand how users engage with the product, but these solutions are often missing the customer engagement piece. Or worse, they can’t really connect in-product behavioral data with account data (subscription details, customer lifecycle stage) and profile data (name, title). How often do your top 20 percent customers, based on annual contract, log in to your product? What are the top in-product journeys for these customers from adoption to expansion? What are the top three features that these customers use? How quickly can you design messages to engage a customer or showcase your new features? What features cause customers to stop using the product? Where in the top three customer journeys are your prospects and clients getting stuck? If you can’t answer these questions, you lack a holistic view of each customer’s interactions across departments and their product usage. Next, your organization needs to align its marketing, sales, customer success, and product teams on how to design and deliver effective customer experiences. First, tie customer experience metrics to the core objectives and goals of each department. Customer Lifetime Value (CLV) is one of the best metrics to measure and evaluate the long-term health of customer relationships. Net Promoter Score (NPS) is another metric that measures customer satisfaction and how customers value the experience with your product and company. For example, marketing is charged with driving awareness via product trials and signups, but should also track if prospects are becoming high-value customers. Sales is primarily focused on generating revenue, but you should also evaluate the sales team’s performance using CLV. Metrics that measure the health of customer relationships, such as CLV, should also be connected to incentives. In fact, Hubspot changed its sales compensation plan to reflect CLV. At the same time, your product team needs a relevant metric, known as the Product Qualified Lead (PQL). A PQL is a prospect that signed up and demonstrated buying intent based on product interest, usage, and behavioral data. Ironically, a go-to-marketing strategy impacts all functions across an organization yet most companies leave the product team out of their customer acquisition process. To align departments around the customer lifecycle and customer experiences, companies need to bring product teams closer to the customer and the customer acquisition process. Unified data is a critical step in this direction. It’s also essential for every department involved in the customer acquisition process to connect its goals, objectives, and incentives to CLV as a primary metric to evaluate long-term customer experience and satisfaction. When department goals and objectives are aligned around customer experience metrics, needs and vision, and unified customer profile data combines in-product behavioral, profile and company data, cross-functional teams can create and deliver personalized customer experiences. 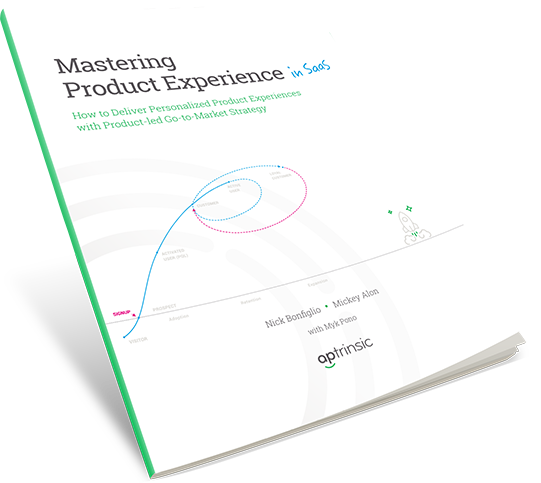 Read the full “Mastering Product Experience: How to Deliver Personalized Product Experiences with Product-led Go-to-Market Strategy” book or download in PDF format. Book is written by the Aptrinsic team.